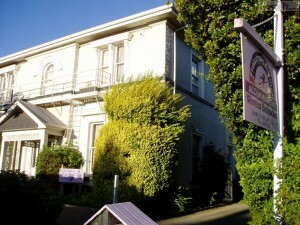 Frauenreisehaus was a popular women’s hostel in Christchurch. It had 72 beds and welcomed women from around the world to stay in it’s central Christchurch complex of five buildings. A google search can still find it, but sadly it is no more. Just one of the casualties of the Christchurch earthquakes. Recently I was in Christchurch, and went in search of owner Sandra Scott-Harrison to find out more of what happened to this well known local icon, which she operated for almost 20 years. Frauenreisehaus. Two houses beside her are empty, awaiting substantial repairs. The main house and another is just an empty section, with just the well known lavendar sign at the entrance and a few sheds behind it which has some of the furniture stored from the house. 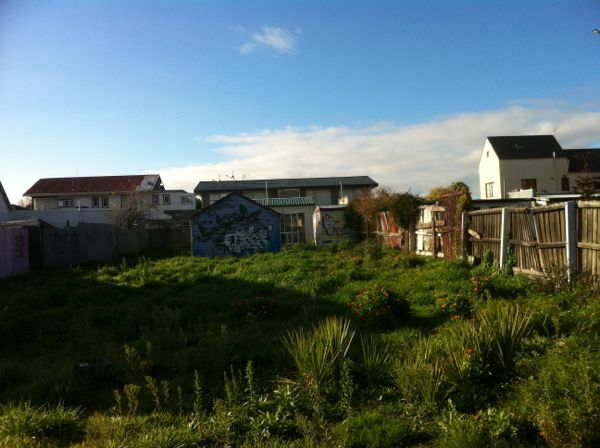 Sandra is planning to give most of the old furniture away to people in the east of Christchurch who suffered particulary badly with the earthquakes. Fraureisenhaus had 72 beds for women travelers. At the time of the big February quake, tourist numbers were down because of previous earthquakes, and there were only 9 staying, and all of them were out. 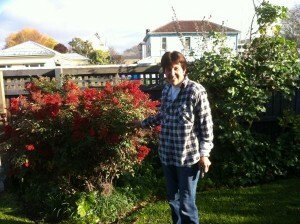 Sandra beside the tree that she held onto when the earthquake hit. She watched the house across the road fall down in front of her eyes. 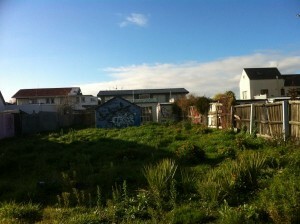 70% of the Backpacker rooms in Christchurch, including Fraureisenhaus’s 72 beds were destroyed in that earthquake. However Sandra has kept her Fraureisenhaus phone number, and still gets calls from women wanting to stay. What next for Sandra? On one level she is glad of the break from running such a significant enterprise, but the haggling over insurance and repairs still hangs over her, like it does many others in Christchurch. 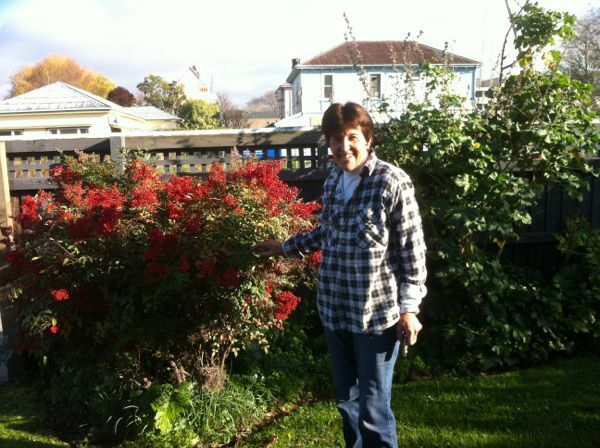 Sandra comes from Ranfurley in Central Otago – it is on the well known Otago Central Cycleway. She is hoping to return there, and perhaps set up a small women’s hostel for cyclists. So sad to hear about Frauenreisenhaus. I loved staying there.